BP Garage Doors is a locally owned and family operated business. 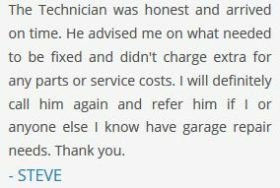 Our highly skilled technicians have over 20 years’ experience in the Garage Door Installation industry to serve all your repair and garage door installation needs. 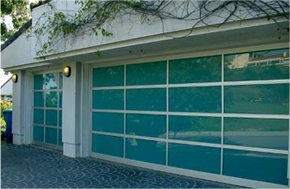 BP Garage Doors can do it all: broken springs, replace openers, overhaul existing doors, or upgrade your current door. We offer affordable same day service with no extra charge for emergency or weekend calls. 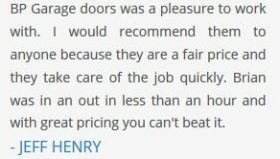 All customers get a 25 point safety inspection so you can be assured your door is operating safely. Call us at 727-224-7599 for a quality garage door installation or repair!